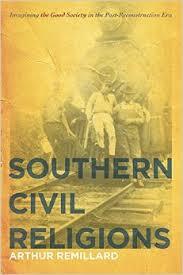 Leon Schwarz is among the more compelling figures from my "first book," Southern Civil Religions (BUY IT NOW!). I also think of him every Memorial Day. Well, I'm glad you asked. Born in 1872, Schwarz lived most of his life in Mobile, Alabama. He was a military man too, having served in the Spanish-American War and the Great War. In 1924, he became the sheriff of Mobile, and two years later he was elected to the city commission. Then, from 1929-32, he was Mobile’s Mayor. Oh, and when he finished that, Schwarz became president of Mobile’s Reform Jewish congregation. So yea, a Jew living in a region that couldn't be much more Protestant. When I started writing about the South in this era, I had assumed that I would see plenty of anti-Semitism. To be sure, it was there. From stereotyped stage images, to the lynching of a Jewish pencil factory owner in Atlanta, Jews lived in a region that could become quite unwelcoming. However, even during the nativist 1910s (when politicians won or lost elections based on where they stood on Catholics), a collection of Jewish white men in the South like Schwarz involved themselves in public life at various levels. But their lives were a constant balancing act, walking a tightrope over the nuances of their hyphenated identity. Schwarz spent plenty of time explaining how he was both a "true Jew" and a "true southerner." But he also thought about what it meant to be both a southerner and an American. This brings me to my Memorial Day reflections. In 1907, letters inundated a Montgomery newspaper voicing concerns both for and against the establishment of a formal "Confederate Memorial Day." Hoping to offer a suitable compromise, Schwarz proposed a "Civil War Memorial Day." Schwarz envisioned citizens of North and South decorating the graves of Confederate and Union soldiers alike, "for they died fighting for what each thought was the right." He reasoned that people needed to celebrate "American valor," while remembering "that our terrible internecine war is now but a sad memory and that the American people will never again be rent asunder by civil strife." No one listened to ole Mr. Schwarz. The state of Alabama went ahead and designated the fourth Monday of every April "Confederate Memorial Day." And Schwarz--the son of a Confederate veteran--was a reliable participant at these ceremonies. When he returned from the Great War, he spoke at one, comparing those who died in the Civil War to those “buried under the poppy-studded sod of France." Schwarz stressed that the Confederate’s “example in patriotism” had informed the heroism of Mobile’s soldiers of the Great War. Here and elsewhere, Schwarz acted as both a non-partisan and a traditional southerner, referencing the past to venerate the present, all the while gesturing toward an image of North and South unified in opposition to a new enemy. Put another way, thinking through Schwarz's story teaches me how expressions of national "unity" always emerge from serious contests over "our" most cherished memories, beliefs, and values. That's probably enough self-promotion for one day. Enjoy your Memorial Day and JUST BUY THE BOOK!